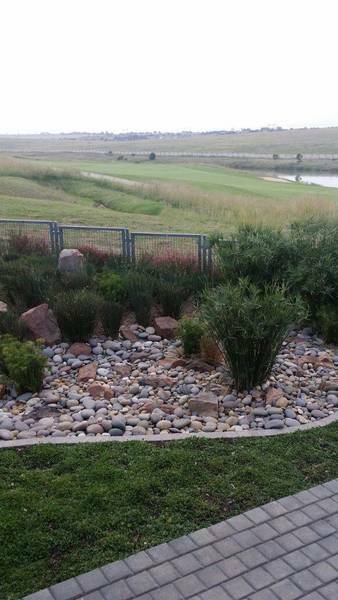 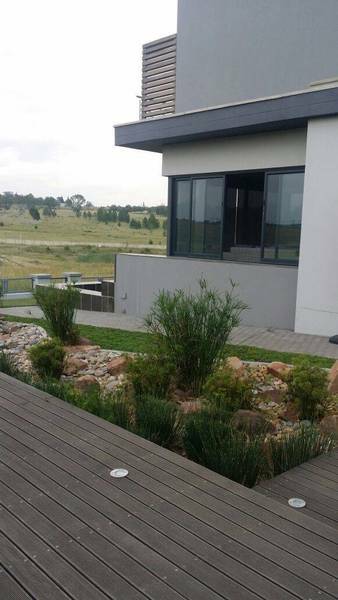 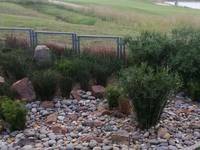 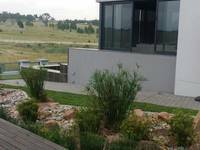 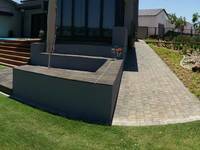 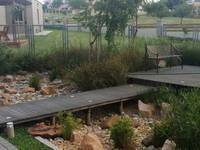 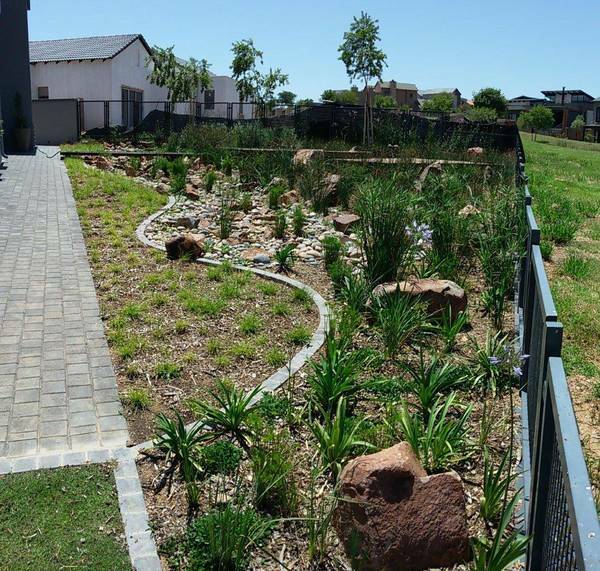 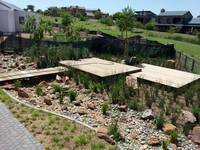 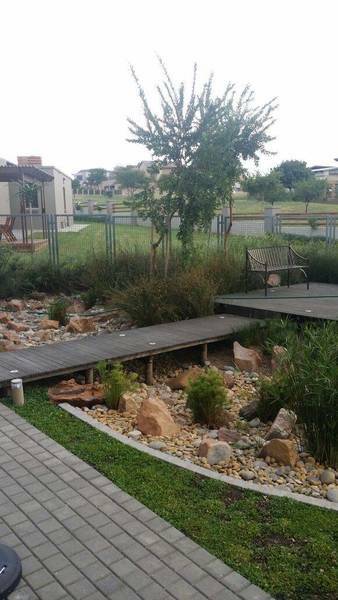 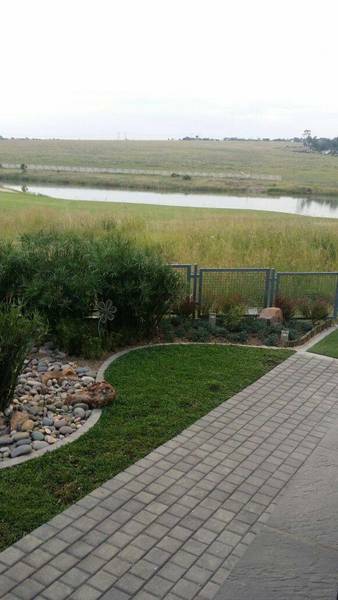 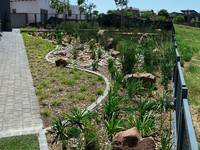 Situated in the Copperleaf Golf Estate - Garden Stone is a fully indigenous home garden which shares its borders with a natural wetland with views over one of the natural water bodies in the estate. 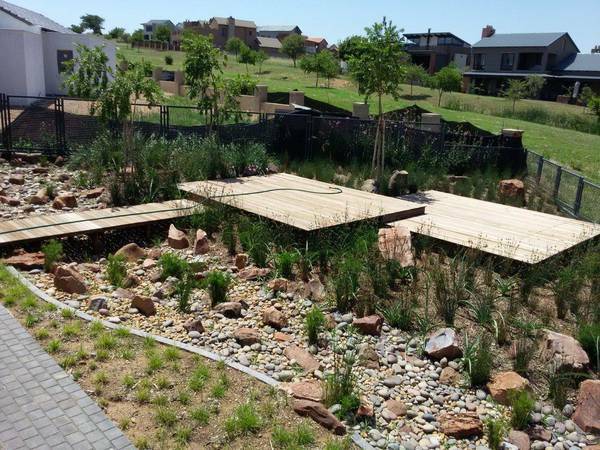 The garden was designed to mitigate storm water flooding from the adjacent riverine through the use of the dry river bed and indigenous drought tolerant wetland plants with strategically placed decks to maximize vistas without heavily intruding on the landscape. 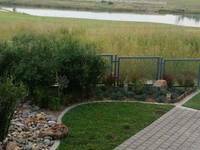 The garden blends in seamlessly with the surrounding natural vegetation with the only distinction being the boundary fence.